”The Merry Blacksmith” , one of my favorite Irish fiddle tunes. An ancient trade indeed! Skill in working metal has gone hand in hand with human development since the dawn of civilization. My fascination with this history and these skills led me to set up my own wee smithy in the backyard. 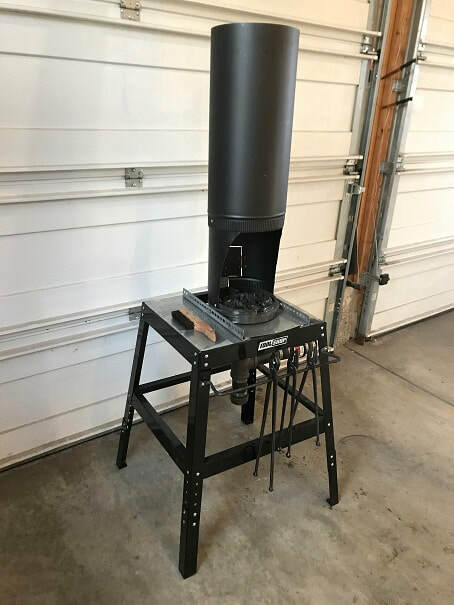 Here I will share how I got my start in blacksmithing, beginning with building a brake drum forge and buying the initial tools. 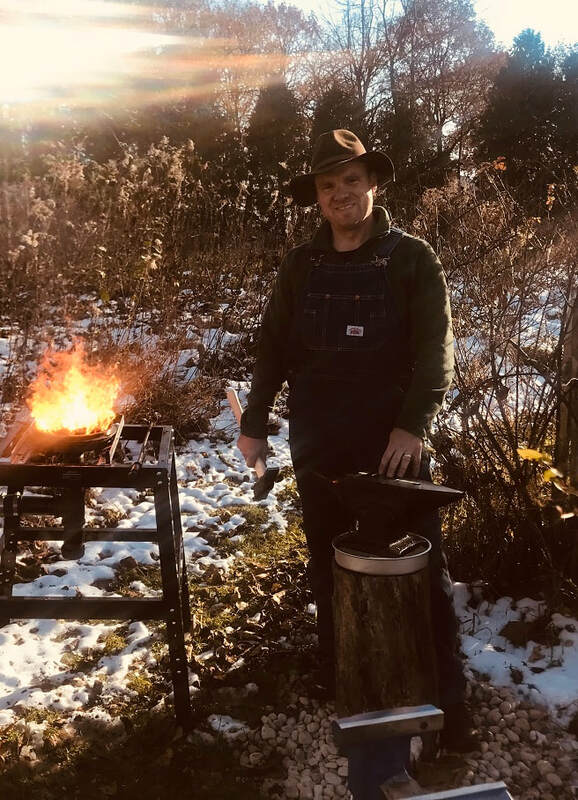 I am an amateur, and I do not claim expertise regarding blacksmithing, but this has been a great activity to get started in and I am happy to share here how I got started. My backyard smithy, early November 2018. It is wet and cold now, but in summer I will spread out a larger stone pad and make some additional safety adjustments to keep sparks from the grass. I have a large industrial fire extinguisher and a hose on out in the workspace also. The first piece of hardware I made using the new forge and anvil. 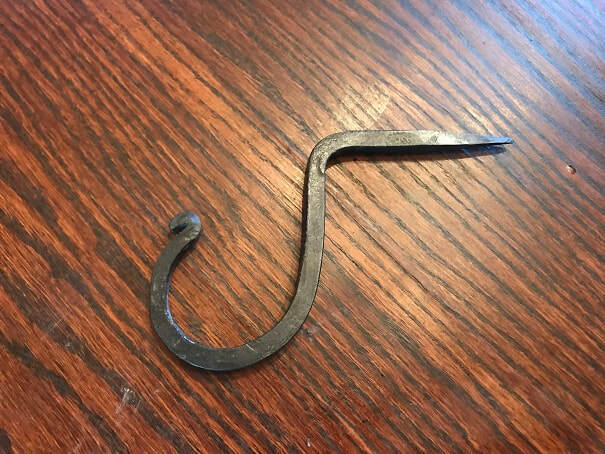 The bar-twister I made worked nice to add twists to hooks. The holes in the hooks are hot punched using the punch and pritchel plate. "The Backyard Blacksmith" by Lorelei Sims. Very helpful book on blacksmithing for those that want to get started. "The Blacksmith, Ironworker and Farrier", by Aldren A. Watson. This is wonderful reference book on the history and traditional methods of blacksmithing. Centaur Forge www.centaurforge.com, was a great place to find tools and anvils. They are nearby for me so I drove over to see them. I was like a kid in a candy shop looking at everything in stock at their shop.